Last year, Beyoncé performed at Coachella and became the first black woman to ever headline the festival. (She was scheduled to headline the year prior, but had to drop out because she was having twins. Lady Gaga performed in her place.) 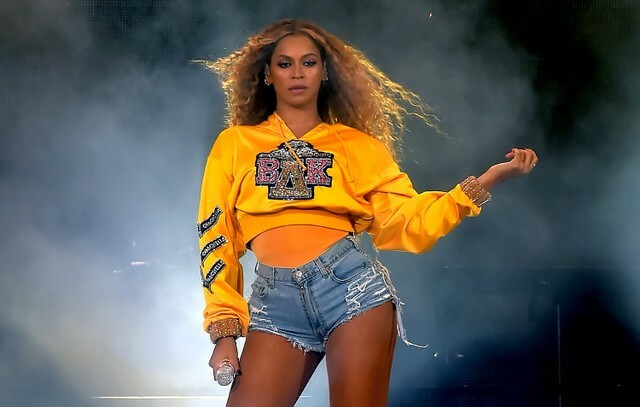 The performance was epic: She was joined by Jay-Z and Solange, she reunited with Destiny’s Child, the livestream of the set was shared far and wide as an example of Beyoncé’s boundless energy and expertise. Now, almost a year to the day later of that first performance, Netflix will debut Homecoming: A Film By Beyoncé, an intimate behind-the-scenes look at the performance from conception to completion. Judging from the trailer, it’ll be a highly stylized at how it all came together. Netflix’s most recent high-profile concert film was for Taylor Swift’s Reputation tour, which came out on New Year’s Eve. Watch the trailer for Homecoming: A Film By Beyoncé below. It’ll be on Netflix on 4/17.